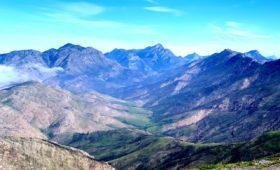 “At the launch of the Garden Route Environmental Forum (GREF), launched in December 2018 in Mossel Bay, the event programme was packed by national and regional environmental scientists and specialists,” says Cobus Meiring of the Southern Cape Landowners Initiative (SCLI) and the GREF Secretariat. Addressing various subjects relevant to the Garden Route environment, there was a common thread throughout all the presentations, namely that unless we take note of the various factors changing our environment, and plan well ahead in accordance, we are heading for an uncertain future. Poor in infrastructure and resources, including fresh water, the Garden Route is not suitable nor capable of sustaining large populations. 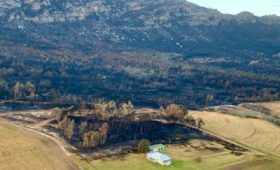 Climate change is partly to blame for the drying out of the western and northern parts of the Garden Route, and the demise of agriculture in badly-affected areas are real and seemingly irreversible, as farmers and those dependent on making a living off the land are forced to make a new start elsewhere. “Compounding the situation, over the past two decades we saw exponential growth in regional population, as well as a steady increase in tourists and holidaymakers,” says Meiring. The steady economic demise of the Eastern Cape is not doing the Southern and Western Cape any favours as rural populations move south in the hope of finding a better life. Cities such as East London and Nelson Mandela Bay are much better suited to accommodate vast populations in coming years, but continued political uncertainty, regional mismanagement and failure to increase economic growth options leave rural communities no choice but to leave the province. According to Meiring, migration to cities is a worldwide phenomenon, and the RSA Government is well aware of the challenges lying ahead in managing the seemingly non-reversible trend. As a mere example, by allowing the implosion of raw sewage management systems feeding into the Vaal River, and the resultant demise of freshwater systems, including exponential growth rates of invasive alien plants in catchments, will no doubt impact on the ability of Gauteng to sustain its burgeoning population. Similarly, the Garden Route population must realise the value of its natural resources and the importance of the protection and management thereof. 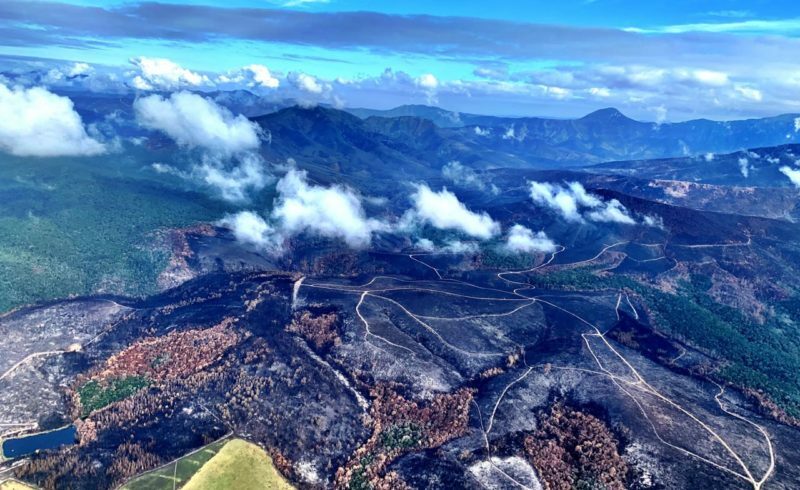 Ensuring that mountain catchments, rivers and seep lines are clear of invasive alien forests depleting freshwater resources and posing severe fire risks, are perhaps the most important environmental management challenge. The Garden Route Environmental Forum (GREF) was launched on 11 December 2018. 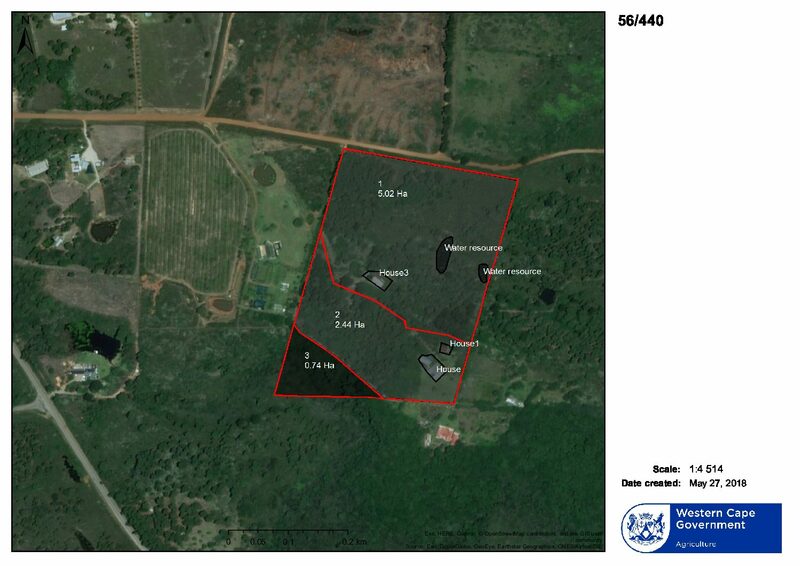 GREF is an environmental coordinating body, mandated by the Garden Route District Municipality. **The Garden Route Environmental Forum (GREF) is a regional forum for collaboration in conservation, environmental adaptation and community interaction. 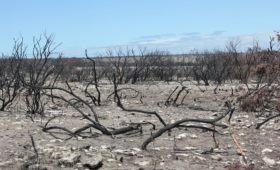 The forum aims to coordinate regional conservation efforts, serve as a catalyst to drive climate adaption practices in the Southern Cape and strive to establish a better-coordinated approach to environmental management.